What determines the plaintiff’s court selection in patent litigation? Patent infringement disputes frequently fulfil territorial jurisdiction requirements at multiple courts, giving the patent holding plaintiff the option to freely select the court of his choice to seek remedies. While these so-called forum shopping activities are frequently observed, the factors influencing court selection have remained largely unexplored. New academic research ... examines the determinants of the plaintiff’s court selection at German regional courts. The study ... finds that plaintiffs consider the expected economic loss from delayed judgment when choosing their court. Speedy patent enforcement is in particular valued, if plaintiff and alleged infringer compete in the product market. To analyse forum shopping in patent litigation, the researcher utilises a dataset of patent litigation cases in Germany which covers all proceedings filed at the regional courts in Düsseldorf, Mannheim, and Munich between 2003 and 2008 [presumably the age of the dataset does not affect the author's conclusions; this would not be so for eg England and Wales, where subsequent reforms have rendered the data from that period little more than a historical curiosity]. These three courts account for approximately 80 to 90% of all patent infringement proceedings in Germany. The results indicate that judges at the three courts differ in their tendency to draw on time-consuming expert opinions depending on the patent’s technology. Furthermore, judges seem to differ in their propensity to stay the proceeding due to a parallel validity challenge. Overall, judges at the Düsseldorf regional court are less likely to call for an expert opinion or to grant a stay than judges in Mannheim and Munich. Although ordinary proceedings take the longest at the Düsseldorf regional court, the low likelihood of delays gives it the lowest expected length of proceeding for a major share of patent disputes, which explains the popularity of the Düsseldorf regional court among patent holders. The results of the study further show that the distance to a particular court has a significant negative effect on court selection. Especially small plaintiffs highly value local access to court. The study’s findings are of particular importance for the discussion about the design of the Unified Patent Court (UPC), which is scheduled to commence operations in late 2016. Although the implementation of the UPC has in general been welcomed as a solution to the currently fragmented European patent litigation system, practitioners, scholars, and policy makers disagree how well the UPC will balance the trade-off between uniform judicial decision-making and the provision of local access to court. In its currently planned form, the UPC will consist of multiple entry courts spatially dispersed over Europe to provide litigants with the option to seek remedies in close proximity – namely, a central division in Paris, regional divisions in London and Munich, and a still unspecified number of local divisions. The provision of multiple entry courts will assure that small patent holders are not disfavoured due to the lack of a nearby court when trying to enforce their patents [though the risk of fragmentation in judicial behaviour will presumably increase with every additional court]. However, the plurality of courts has also raised concerns that plaintiffs may exploit differences in decision-making and case management. While a centralized appeals court at the UPC will promote uniformity in judicial decision-making, judges maintain considerable discretion in the form of procedural options prior to rendering a judgment on the merits, such as whether to transfer the proceeding, stay the proceeding, or decide on validity. Refined procedural rules seem crucial to avoid additional court heterogeneity resulting from different interpretations of statutes by judges [there's a difference between different interpretation of statutes -- which is clearly something to avoid -- and different subjective evaluations of the facts and the weight of parties' arguments in relation to the same interpretation of statutes, which may be impossible to eradicate -- as experience of the harmonised European trade mark law has shown]. Thanks go to Chris Torrero for providing this information. 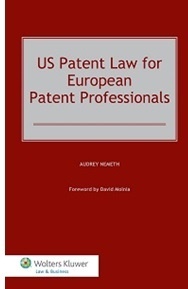 US Patent Law for European Patent Professionals, by Audrey Nemeth, is an extremely handy volume for those of us who, being based in Europe, are obliged to keep an eye on developments in the United States on a piecemeal basis but who do not have the luxury of the time to gain a proper appreciation of this complex, important patent culture -- a culture that is so alien and out-of-step in the eyes of those from that small insignificant domain called The Rest of the World. This is the first book that has been designed to make communication between European and US patent law professionals more comprehensible. It explains exactly what is required at every stage of a patent proceeding in the United States, helping European patent professionals understand and act upon the facts. It ensures that both parties have a common understanding of basic US legal terms, and that you – a EU practitioner – will understand the available courses of action for the most common procedural scenarios. United States patent law, like the European Patent Convention (EPC), is based on a hierarchical code of statutes, regulations and administrative guidelines. However, there are numerous important distinctions, which you’ll need to know if you are looking to successfully protect and leverage intellectual property in the United States. This highly practical and detailed work is divided into five main parts, covering the basics of US patent law, prosecution of US applications, US patent and post grant proceedings, procedural elements, and advanced topics. The author, who is Europe-based herself, does not merely describe the framework of the US system and its manner of operation; she leads readers towards the US from the elements of the European system which she can rely on as being familiar to readers, or at least resonating with them. That is not to say that this book is of no value to non-Europeans, since its clear, concise and undramatic description and explanations will benefit anyone who wants an overview of the US law -- especially in its post America Invents Act phase -- and who can set aside a relatively modest amount of time to sit down and read it. The text is nearly devoid of footnotes, but references to the patent statute (35 USC) are more than adequate for anyone who wants to measure the author's text against the primary legal source. 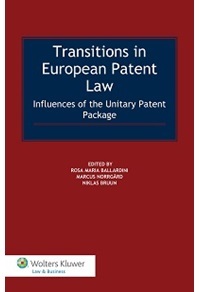 The focus of the book is principally on the side of patent law that deals with USPTO-facing activities, which can best be compared with EPO-facing activities in Europe; it is not, and does not pretend to be, an infringement litigation manual. But that is its strength and its justification. You can read Audrey Nemeth's blogpost introducing this book on the Kluwer Patent Blog here. 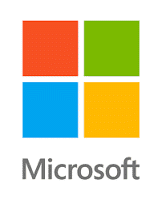 Microsoft v Motorola: did the US Court of Appeals for the Ninth Circuit have jurisdiction? In Microsoft v Motorola, Inc (here), the United States Court of Appeals for the Ninth Circuit affirmed the decision of the district court that Motorola had breached its obligations to offer reasonable and non-discriminatory (RAND) licences to its patents in good faith. In addition to the substantive arguments, the Court of Appeals had to decide whether the Ninth Circuit or the Federal Circuit had jurisdiction over the case. In late 2010 both Motorola and Microsoft sued in the U.S. International Trade Commission (ITC) and the Western District Court of Washington, alleging infringement of smartphone patents. During this litigation the parties entered into discussions about a cross-licensing agreement that would grant Motorola licences to Microsoft’s smartphones in exchange for licences to any of Motorola’s patents that Microsoft’s products may have been infringing. In late October Motorola provided Microsoft with letters offering to license two patent portfolios, 802.11 and H.264 HEP, at 2.25% of the price of the end product incorporating the patents, regardless of the manufacturer: Microsoft was to pay Motorola 2.25% of the sale price of an Xbox game console or of any computer using Microsoft Windows. Both letters which were identical in material terms represented that the offer was in keeping with Motorola’s reasonable and non-discriminatory (RAND) commitments. After Microsoft received the letters it filed a diversity action in the Western District of Washington, alleging that Motorola had breached its RAND commitments to the IEEE and ITU. It alleged that Motorola’s letters constituted a refusal to license Motorola’s standards-essential patents (SEPs) on RAND terms. The next day Motorola filed suit against Microsoft in an attempt to enjoin Microsoft from using its H.264 patents. The cases were consolidated in the Western District of Washington. In the district court Microsoft altered its complaint to allege that Motorola’s filing of injunctive actions constituted a breach of contract, owing to the fact that the obligation to offer RAND licences to all seekers prohibited Motorola from seeking injunctive relief for violations of patents subject to that obligation. In response the court granted a joint motion to stay all patent-infringement claims in the consolidated cases until the RAND issues were resolved. The district court issued a range of orders that, among other things, recognised that RAND commitments create enforceable obligations between Motorola and the SSO concerned and that Microsoft – as a standard user – could enforce those contracts as third-party beneficiary. It also issued orders that Motorola’s commitments to the ITU and IEEE required initial offers by Motorola to license its SEPs to be offered in good faith, but needn’t be on RAND terms, provided that a RAND licence is eventually issued. Further, the court decided that Motorola was not entitled to an injunction on its H.264 or 802.11 patents. Motorola took issue with the decision of the Federal Circuit to transfer the case to the Ninth Circuit. It argued that the Federal Circuit was the correct forum for the case to be heard, owing to the dispute “arising under” federal patent law. The Ninth Circuit considered this argument and quickly dispensed with Motorola’s challenge to its jurisdiction. The court was of the view that Motorola’s argument that the district court “constructively amended” the complaint by holding a bench trial on the RAND rate implicitly invoked the “changed circumstances” exception. However the court pointed out that, given that it had decided upon jurisdiction of the appeal knowing that the RAND bench trial would take place, and the Federal Circuit’s decision to transfer the case was made after the bench trial, there was no evidence of changed circumstances. Furthermore it was pointed out in the court judgement that the fact that the district court decided to hold a trial on the RAND rate, did not affect the application of the law of the case doctrine: the Court of Appeals was aware of the district court’s intention to determine the RAND rate and it owed deference to the Federal Circuit’s decision to transfer the case – a decision that was taken after the district court had determined the RAND rate. While the court acknowledged Motorola’s argument that the Federal Circuit had exercised its jurisdiction in some breach-of-contract cases, it pointed out that those involved some determination of patent law. The case before the Ninth Circuit was a breach of contract action. 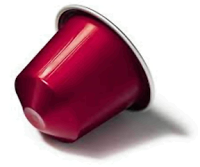 The European patent fraternity has been buzzing with excitement over the referral of some of its most controversial issues involving the priority of patent claims to an Enlarged Board of Appeal of the European Patent Office for what, it is hoped, will be some definitive answers. If nothing else, this referral is likely to press the pause button on a substantial number of ongoing proceedings, as interested parties apply for a stay until such time as the Enlarged Board delivers its ruling. This clear, helpful guest post from Carpmael & Ransford's David Holland, explains why these questions are being asked, so readers can appreciate what their real-world significance might be. A new referral to the EPO’s Enlarged Board means that there could be a new test for partial priority at the EPO. At the very least, the referral invites the Enlarged Board to provide clarification of the current test set out in an earlier Enlarged Board decision G 2/98. The UK Courts regularly refer to G 2/98 when assessing priority, as seen in Nestec v Dualit in which Arnold J refused a request for partial priority on the basis of the test set down in G 2/98. It therefore seems likely that any changes instituted by the Enlarged Board will be felt not just at the EPO but in the national courts too. Partial priority: what is it and what does it do? Partial priority allows part of a claim which is contained in a patent application to be entitled to an earlier date, where some but not all of the alternatives covered by the claims appear in the priority document (a provisional filing), a concept permitted by Article 88(2) of the European Patent Convention (EPC). The current test for applying Article 88(2) EPC was set down by the Enlarged Board in G 2/98 and permits partial priority provided “it gives rise to the claiming of a limited number of clearly defined alternatives” (Reasons 6.7). For example, a claim to “compounds A or B” where only compound A appeared in the priority document would be entitled to the earlier date, but in relation to compound A only. The “A or B” scenario is simple and uncontested. The divergence between the EPO decisions that led to this referral occurs where a claim generically covers compound A, e.g. by using a generic term or Markush grouping, but does not “clearly define” compound A as an alternative in the text of the claim. Certain EPO decisions (such as T 1222/11 and T 571/10) are generous and assign partial priority by “conceptually” dividing the claim into the “limited number of clearly defined alternatives” required by G 2/98. The conflicting strict decisions (such as T 1877/08 and T 476/09) argue that mere “conceptual” division of a claim is not permitted by G 2/98, and that instead the text of the claim must identify those alternatives in order for partial priority to be acknowledged. The strict test can seemingly never be satisfied by ranges or other generic terms in a claim, as the text of such terms cannot be divided into a limited number of alternatives, whereas the generous approach may allow these generic terms to be divided up and so awarded partial priority. For example, a range of “5 to 6” in a priority document that had been broadened to a range of “5 to 7” in the claims of the application would completely lose priority under the strict approach, but have partial priority in the range “5 to 6” under the generous approach. Clearly, these two different approaches have serious implications for patent validity where there is intervening art. The first four questions: how to assess partial priority? Question 1 therefore invites the Enlarged Board to remove G 2/98’s “limited number of clearly defined alternatives” test altogether, at least for “generic” claims. It is unusual for the Enlarged Board to overrule its previous decisions, but this is by no means impossible (e.g. G 1/84 was overruled by G 9/93). An answer of “no” to question 1 would contrast with the UK Court’s approach in Nestec v Dualit, where Arnold J held that three different housing arrangements covered by the claim were not clearly defined alternatives and so did not qualify for partial priority  EWHC 923 (Pat), paragraph 96. 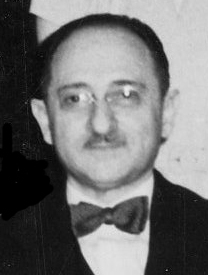 As a result, Arnold J held that the patent lacked novelty over the publication of the priority document under the UK’s equivalent to Article 54(3) EPC (section 2(3) UK Patents Act), a so-called “poisonous priority” attack. 3. If the answer to question 2 is yes, how are the criteria "limited number" and "clearly defined alternative subject matters" to be interpreted and applied? Accordingly, in answering these four questions the Enlarged Board should either remove or clarify the existing partial priority test from G 2/98. A review of the decision referring these questions suggests that the referring Board may have formed a view regarding the correct answer to at least the first four questions. The questions referred are accompanied by around 60 pages of legal background produced by the referring Board, including a comprehensive review of the EPO’s case law and how this has been interpreted by the UK Courts (including Nestec v Dualit). The referring Board concludes that, before G 2/98, a more generous approach was accepted. The Board finds no mention of the G 2/98 test in these earlier decisions and states that they were not explicitly overruled in G 2/98. 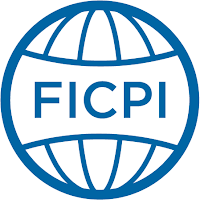 The Board also notes that one of the reasons underlying the decision in G 2/98 (evidence of the legislative intent from a contemporaneous FICPI Memorandum) may seem to support a more generous approach to partial priority. These observations, coupled with the sweeping nature of question 1 as asked by the referring Board, perhaps suggest that this referring Board favours total abandonment of the G 2/98 test for partial priority. The Enlarged Board will make its own decision, and it is likely that it will be assisted by a significant number of amicus briefs from interested parties. Nestec v Dualit was not a toxic divisional attack because the novelty citation was the priority document (which had, unusually, been allowed to publish as a conventional patent application), rather than a parent or divisional. While the toxic divisional attack has yet to be the subject of a UK Court decision, it was apparently accepted by an EPO Technical Board of Appeal in T 1496/11, although the issue is hardly discussed in the written decision leading many to question whether it is good law. The referring Board clearly appreciates the importance of comprehensively addressing the “toxic divisional” problem, because if the Enlarged Board either confirms and clarifies the G 2/98 test (question 3), or creates a new test (question 4), it must then answer question 5. Question 5 asks whether a family member (parent or divisional) can ever be novelty-only prior art, regardless of partial priority. There are a number of underlying legal and public policy points that have been used by patentees to argue that family members are never citeable for novelty against each other. It will therefore be fascinating to see how the Enlarged Board chooses to clarify the law in this area, if such clarification is still required following the answer to question 1. Time for clarity -- and for dispelling spectres? The answers to the referred questions will rewrite, or at least clarify, the concept of partial priority. It seems likely that patentees with ongoing actions in which partial priority is pleaded may request a stay until the referred questions have been answered. If allowed, any stay would last for at least a year, as it is unlikely that the Enlarged Board will issue a decision for quite some time. No matter how the Enlarged Board answers the first four questions, it will have to address the “toxic divisional” problem head on. In light of the increasing number of “toxic divisional” attacks following their apparent validation in T 1496/11, many will hope that the Enlarged Board both clarifies the law regarding partial priority and conclusively dispels the spectre of “toxic divisionals”. This article is based on a client practice note available from Carpmaels & Ransford’s website here and first publicised on twitter by @CRPharmaIP. Patent Litigation in China, by Douglas Clark, is the second edition of this refreshingly readable and accessible paperback published from the US desk of Oxford University Press. The author, a member of Hogan Lovell's China practice team for some two decades before heading off to the Hong Kong Bar, has an impressive array of experience under his belt, having litigated more than 100 pieces of patent litigation in China -- this representing just 5% of his total IP case load. The text itself is lean, clean and unornamented, which makes it easy to navigate; it also spells out the problems facing litigants in China (whether foreign or domestic) in no uncertain terms. The problems are not limited to patent law, and include the difficulties faced in obtaining evidence and then having to explain in the clearest possible terms the significance of that evidence. The rise of China's economy has led to a substantial increase in disputes involving intellectual property rights, including patents. Not only are foreign companies suing domestic companies and domestic companies suing foreign companies, but patent disputes between foreign companies are also being litigated in the Chinese courts. Patent Litigation in China, by Douglas Clark, provides U.S. and other non-Chinese practitioners with an overview of the patent litigation system in China. Strategic commentary is provided to enable those contemplating or involved in patent litigation in China to better comprehend the risks and challenges they face, as well as to ensure better decision-making by those responsible for bringing or defending patent actions. The book covers the tests for patentability grounds for invalidating patents before focusing on evidence gathering, litigation strategy and procedure, as well as considering defenses and remedies. The key differences between the Chinese, U.S. and other more mature patent systems are highlighted throughout the book. The author tackles all the conventional aspects of patent law that one would expect, plus the relevant anti-monopoly rules and a separate section on patent litigation in Hong Kong. Appendices include Chinese-to-English translations of the Patent Law of the People's Republic of China, plus implementing regulations, judicial interpretations and various other significant items -- readers should however appreciate that the appendices occupy some 150 pages of the volume. Bibliographic details: paperback, xxxi + 359 pages. ISBN 978-0-19-872444-5. Price £147.50; also available as an e-book. Book's website here. This guest post is contributed by Kristin L. Murphy, a Shareholder at Brooks Kushman PC in Southfield, Michigan. Kristin's bio is available here. The Leahy-Smith America Invents Act (“AIA”) created three new mechanisms for members of the public, including competitors, to challenge the validity of an issued U.S. Patent. As of June 30, 2015, 3,160 petitions for inter partes review (“IPR”), 362 petitions for covered business method patent (“CBM”) review, and 10 petitions for post-grant review had been filed with the U.S. Patent and Trademark Office’s Patent Trial and Appeal Board (“PTAB”). Although AIA post-grant proceedings have been available since September 16, 2012, several procedural issues remain unclear, and the U.S. Court of Appeals for the Federal Circuit has not yet had the opportunity to consider many of the USPTO’s practices in conducting AIA trials. Recently, the PTAB issued two decisions that cast some light on one thorny AIA trial issue: the breadth of the preclusive effect of AIA trial proceedings through the AIA’s estoppel provision, 35 U.S.C. § 325(e)(1), and related Patent Rule, 37 C.F.R. § 42.73(a). In Westlake Services, LLC v. Credit Acceptance Corp., Case No. CBM2014-00176, the PTAB considered a petitioner’s challenge to U.S. Patent No. 6,950,807, titled “System and method for providing financing.” The ‘807 patent claims methods for facilitating the sale of goods on credit, such as automobiles, by using information about the seller’s current inventory and a prospective customer’s credit worthiness to provide financing scenarios for each product available for sale. The petitioner originally filed a petition for CBM review for all 42 claims of the ‘807 patent. The PTAB granted the petition for some claims, but denied it with respect to others. Subsequently, after the Supreme Court’s latest decision on patent eligibility of computer-implemented methods, the petitioner filed a second petition challenging the ‘807 patent. The PTAB granted the petition for CBM review as to the claims for which it did not previously grant review in the first petition. See, e.g., Alice Corp. Pty. Ltd v. CLS Bank Int’l, 134 S. Ct 2347 (2014). Subsequently, the PTAB issued a final decision on the first petition, ruling that the claims at issue in the trial were unpatentable. The petitioner in a post-grant review of a claim in a patent under this chapter that results in a final written decision under section 328(a), or the real party in interest or privy of the petitioner, may not request or maintain a proceeding before the Office with respect to that claim on any ground that the petitioner raised or reasonably could have raised during that post-grant review. The patent owner argued that since the initial petition resulted in a final decision, the estoppel applied to all issues that the petitioner raised or could have raised in that proceeding, even though the petition was not granted as to some claims. In an opinion listed as a “Representative Decision” on the USPTO website, the PTAB denied the motion and refused to apply estoppel so broadly. The PTAB ruled that the estoppel required by § 325(e)(1) must be applied on a “claim-by-claim” basis, and that it only attaches to the claims in a petition that result in a final decision, not claims merely included in a petition when review is not granted as to those claims. Among other things, the USPTO’s comments to the proposed revised Patent Rules implementing AIA post-grant proceedings included the observation that a “determination not to institute an inter partes review, post-grant review, or covered business method patent review is not a final written decision within the meaning of 35 U.S.C. § 318(a), as amended, and 35 U.S.C. § 328(a), and thereby does not trigger the estoppel provisions under . . . 35 U.S.C. § 325(e).” 77 Fed. Reg. 48680, 48703-04 (Aug. 14, 2012). The PTAB also declined to consider whether the second petition challenging the ‘807 patent should be barred under 35 U.S.C. § 325(d), which proscribes redundant petitions. The PTAB stated that it had considered the effect of § 315(d) when it originally granted the second petition as to the claims not included in its first decision to institute review, and determined that the provision did not bar the second petition. In a second decision involving an IPR proceeding, the PTAB ruled that estoppel does not apply to issues in a prior post-grant proceeding that were defenses, not grounds for invalidating a challenged patent. Arris Group, Inc. v. C-Cation Techs., LLC, Case No. IPR2015-00635 (designated “Informative Decision”). In Arris Group, the patent owner sought discovery in an attempt to establish that the petitioner was in privy with a petitioner in an earlier IPR proceeding challenging the same patent. The prior IPR concluded with the patent owner expressly disclaiming one claim and the PTAB entering an adverse judgment. If the petitioner in the later IPR proceeding was in privity with the petitioner in the earlier proceeding, the second petition would be untimely under 35 U.S.C. § 315(b). The petitioner argued that discovery would not lead to useful information because the patent owner was estopped from raising privity as a defense. The patent owner relied on 37 C.F.R. § 42.73(a), which provides that, “[a] judgment, except in the case of a termination, disposes of all issues that were, or by motion reasonably could have been, raised and decided.” The petitioner argued that rule precluded the patent owner from raising privity as a defense. The PTAB also ruled that the privity argument was not barred by res judicata, since a defense is not a “claim” that can be barred under that doctrine. See Foster v. Hallco Mfg. Co., 947 F.2d 469, 478 (Fed. Cir. 1991) (contention that asserted patent was invalid is a defense, not a “claim” subject to claim preclusion). The full PTAB opinion is available here. Although this location is sure to make some Holborn-based litigators, including possibly some potential judges, a bit miffed, the AmeriKat considers that this is actually a good compromise when compared to the prospect of a longer trek to Building 1000 in the Docklands. There was also some sentiment that the location needed to represent the Best of British in order to showcase to court users that the UK was taking the location seriously (i.e., "Please, dear client, admire this beautiful Georgian architecture and gold-plated eagle motif."). Here's a new book that might appeal to PatLit readers. This blogger has yet to see it (though he has just asked for a copy), but it looks both topical and significant, in that it is a serious academic perspective on an issue that has been well-nigh monopolised by patent practitioners (to be fair, the German practitioners can hold their own in academic company, as can a fair number of their colleagues in other jurisdictions). * misuse of patent application procedures. There is also a valuable comparison with the most recent transatlantic patent reforms, such as the America Invents Act of 2011. This is the first book to put the current evolution of European patent law in legal, economic, historical, and technological perspectives. As such, this important collection provides a rich understanding of the ways that patent law reacts to and provokes complex technological phenomena. The controversial issues raised and solutions and interpretations offered will be well worth the study of patent professionals within and beyond the European patent ecosystem. At £118 it's not even dear for a book on patents these days. Further particulars are available from Wolters Kluwer here. In Case T 0784/14 Nutritional Formulation with High Energy Content/N.V. 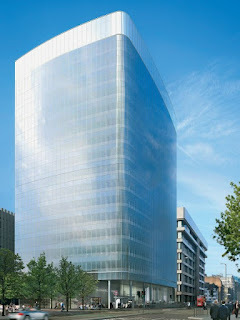 NUTRICIA, 21 July 2015, a Technical Board of Appeal of the.European Patent Office refused to grant the opponents (Fresenius, Abbott and Nestec) a portion of their costs against Nutricia, the patent owner, who took no active part in the opposition proceedings. (4) Nutricia's timely withdrawal of its approval of the text had actually prevented the opponents incurring even more costs. It was not therefore equitable to apportion costs. * a Resolution announcing this Decree and providing both the original English text of the Agreement and the Portuguese translation. Why Didn't We Think of That? District Judge Orders Parties To Limit Future Submissions to "Ordinary Language"
As an initial matter, the Court notes that the parties' briefs in this motion and especially the counterclaim are densely written and filled with both technical jargon and unexplained patent terms of art. While none of this is fatal to the parties' arguments, it does increase the likelihood of misunderstanding and outright error. A federal judge in Illinois recently adopted the following requirement of the lawyers in a patent case: "All submissions must be brief and nontechnical and eschew patent-law jargon. Since I am neither an electrical engineer nor a patent lawyer, and since this case will be tried to a jury, the parties' lawyers must translate technical and legal jargon into ordinary language." New Medium LLC v. Barco N.V., No. 05 C 5620, 2009 WL 1098864, at *1 (N.D. Ill. Apr. 15, 2009). The Court expects the same in future filings in this case. Nomadix, Inc. v. Hospitality Core Services LLC, Case No. CV 14-08256 DDP (June 29, 2015). Full opinion available HERE. From Paul Inman and Andrew Maggs (Wragge Lawrence Graham & Co.) comes this helpful account of the recent appeal decision in an England and Wales patent validity dispute, Teva v Leo. Thanks, Paul and Andrew! 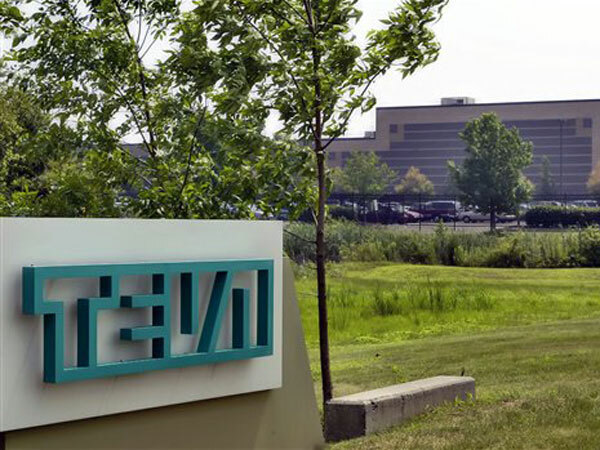 The Court of Appeal has overturned Birss J's decision in Teva v Leo and ruled that Leo's patents regarding its Dovobet ointment for psoriasis are valid. In doing so, Sir Robin Jacob has provided useful guidance on the "obvious to try" doctrine, the relationship between real persons skilled in the art and the hypothetical skilled addressee, and the importance of considering the wider context in which the invention was made. • the skilled addressee deciding to include it in his list for further investigation. Birss J found fact that Arlamol E was not a usual solvent which a formulator would try to use. (In fact he held that it was not common general knowlegde, and that Turi would not have been found in a literature search). Despite this, in view of Turi, "there was a sufficient prospect of a positive result in the tests with this compound to make it worth testing". Upon carrying out the "entirely routine" screening he would find that Arlamol E was in fact a good solvent to use in the combination. Consequently, ruled Birss J, the 'invention' was obvious to try and the patent was invalid. In its decision of 28 July 2015,  EWCACiv 779, the Court of Appeal disagreed with Birss J's analysis. Birss J's principal error was in failing to attribute the necessary standard of expectation when applying the "obvious to try" test. Contributing to this was Birss J. 's additional failure, in Sir Robin Jacob's view, to impute to the notional skilled addressee "the real prejudices and practices of persons skilled in the art" about using Arlamol E as the solvent, his failure to recognise the importance of certain findings of fact which did not support a conclusion of obviousness, and his failure to consider the wider circumstances of a long-felt and unmet want preceding the "significant advance" (and "advance in human knowledge") represented by the invention. "It is wrong to ask whether something might achieve a particular desired effect. It is correct to ask whether it was obvious that it would achieve that effect". While this statement appears to be correct, Birss J had apparently proceeded to answer the first (i.e. the "wrong") question, not the second one. • the disclosure of Turi "would be sufficient grounds to include [Arlamol E] in pre-formulation tests. Based on what the skilled formulator knew about it at the time there was a sufficient prospect of a positive result in the tests with [Arlamol E] to make it worth testing. It was obvious to do so" (paragraph 92). "Mere possible inclusion of something within a research programme on the basis you will find out more and something might turn up is not enough. If it were otherwise there would be few inventions which were patentable. The only research which would be worthwhile (because of the prospect of protection) would be in areas totally devoid of prospect". This was so even though the field in the present dispute was empirical, such testing "was entirely routine" and once tested, Arlamol E was found to work. In order to render the invention invalid, Arlamol E itself had to be obvious to try – and the prospect of success had to raise it over and above above other candidates. A finding that it was obvious to include Arlamol E in his list of solvents to try, and that trying it would in fact have led to success, was not enough: the later finding did not alter the expectation of success regarding Arlamol E before conducting the test. As Sir Robin Jacob said: "well-worth investigating" is not the same as "a fair expectation of success". "The Judge said that Arlamol E had the desired characteristics and so there were "sufficient grounds to include the compound in pre-formulation tests". I do not see that follows. Many non-aqueous solvents may have had the desired characteristics – propylene glycol is a particularly good instance. But there was nothing disclosed about Arlamol E that made it anything like an outstanding candidate – any different from any other non-aqueous solvent. The Judge said that "there was a sufficient prospect of a positive result in the tests with this compound to make it worth testing." But that is to say no more than that there was a sufficient prospect of success with any non-aqueous solvent. On this analysis all such solvents were worth testing. Yet the evidence had shown that the "apparent pH" problem was real and that one could not say that just because a solvent was non-aqueous it would work." Sir Robin Jacob said that he was confirmed in his view that the patent was not obvious by a further consideration. He noted that Birss J. had "dated all his findings about common general knowledge as at the priority date, April 1999", but that in fact all those facts had been common general knowledge since at least 1995, and yet "no-one found a way to put the actives together in an ointment (with any non-aqueous solvent, not just Arlamol E) until Leo did it with the invention in the patents". 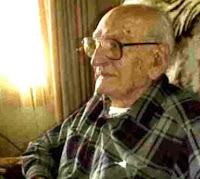 Despite the long-felt want and the advance represented by Leo's solution, there was "no explanation of why that solution was not done before when it could have been". As the final nail in the coffin for Teva, the Opposition Division of the European Patent Office (EPO) had, after Birss J's first instance judgment (with which it was provided), declined to follow the judge's reasoning and rejected Teva's opposition. Sir Robin Jacob was "not surprised". "The skilled formulator would decide what compounds to test based on the properties of the compounds. LEO emphasised Professor Brown's evidence that familiarity with such compounds would be a critical element in the skilled formulator's thinking. I accept that familiarity would always play a part in the choices made by real formulators working in real organisations since it maximises the chances of success by using tried and tested compounds which are often found to work. However I find that the notional skilled formulator would not be as conservative in his or her thinking as that evidence might suggest…"
"But the law of obviousness attributes to the notional person the real prejudices and practices of persons skilled in the art. For instance the "bagridden" mindset of real vacuum cleaner designers was attributed to the person skilled in the art in Dyson v Hoover  R.P.C. 22. " This is a reminder worth heeding. It may perhaps be queried whether Birss J's comment was merely an expression of disagreement with LEO's expert as to the mind-set of the real (and hence the notional) skilled addressee. However in view of Sir Robin Jacob's other conclusions (discussed above) the point is probably moot. "Putting this point into a Pozzoli structured analysis, the difference between the prior art (Turi) and the invention was that Turi was a mono active product using Arlamol E. The invention is a double active product. Turi would be seen as using one of a large number of possible non-aqueous solvents. It might provide stability for the two actives, just as any of the others might. But there was no reasonably optimistic expectation that it would. Finding that it really did was an invention and an advance in human knowledge". We believe that this is a very important judgment of the Court of Appeal, particularly for the pharmaceutical industry and all industries where empirical research forms the heart of the industry and forms the basis for many important advances in the art – and indeed in human knowledge. The first instance judgment in this case conjured up strong echoes from a past era – in which having a UK patent upheld as inventive in an empirical art was the exception to the rule. With 15 uses of the word "real" - whether to describe real problems, real organisations, real prejudices, real formulators, real world and ultimately a "real advance" - this Court of Appeal Judgment is firmly based in and recognises the importance of "reality" when assessing the validity of an invention. "the notion of something being obvious to try was useful only in a case in which there was a fair expectation of success. How much of an expectation would be needed depended upon the particular facts of the case". Sir Robin Jacob's judgment confirms that in an empirical field, despite the conduct of a broad test perhaps being an obvious and routine step to take, a patent will only be obvious if at the priority date there was a reasonably optimistic expectation that the particular claimed invention would work. "What is a reasonable or fair expectation of success will again depend upon all the circumstances and will vary from case to case. Sometimes, as in Saint Gobain, it may be appropriate to consider whether it is more or less self-evident that what is being tested ought to work. So, as this court explained in that case, simply including something in a research project in the hope that something might turn up is unlikely to be enough. But I reject the submission that the court can only make a finding of obviousness where it is manifest that a test ought to work. That would be to impose a straightjacket upon the assessment of obviousness which is not warranted by the statutory test and would, for example, preclude a finding of obviousness in a case where the results of an entirely routine test are unpredictable." However, where (as in this case) there are numerous potential avenues empirically to pursue, the "more-or-less self-evident" level of expectation may well be justified - to raise the particular solution out of the morass of background noise - before one can say it was "obvious". In the 1st instance case underlying the BGH decision X ZR 51/13 "Einspritzventil", the plaintiff had argued that - besides of not being patentable - the patent did not enable the person skilled in the art to carry out the invention as defined in a certain auxiliary request without undue burden. The Bundespatentgericht maintained the patent with this auxiliary request and rejected both the grounds of lacking patentability and lacking enablement. The latter rejection was a bit brief but formulated as a decision, not as an obiter dictum. The lack of enablement then came into the focus of the appeal procedure and the patentee submitted that it should not have been admitted in the first instance as it was late filed and that it should not be admitted to the 2nd instance either because it was not pertinent (sachdienlich). The BGH did not follow: Means of attack or defence or modifications of the action which hat not been rejected in the first instance as being late filed under § 83 Abs. 4 PatG cannot be rejected in the second instance, either. Once the first instance has decided on a matter, the matter is automatically subject-matter of the 2nd instance.